FULL : Policy has been modified to allow for running of native executable. This lets you do things like running properly recompiled Windows Mobile code. This also allows for all the things root unlock offers. ROOT: Policy is elevated on a per app basis via Root Tools (version 0.9) to allow Silverlight apps to run with root privilege. This lets you do things like install XAP's via IE. INTEROP: Achieved by setting MaxUnsignedApps to 300 or greater. This allows an app to use the Interop Services capability, meaning it can use drivers on the phone. This allows for neat things like editing the registry or accessing the file system. Just to be clear though just because your device is Interop Unlocked that does always mean that hacks that require Interop Unlock to deploy will work on your device since they may use exploits that don't exist on your device. DEVELOPER: This allows a user to sideload apps. 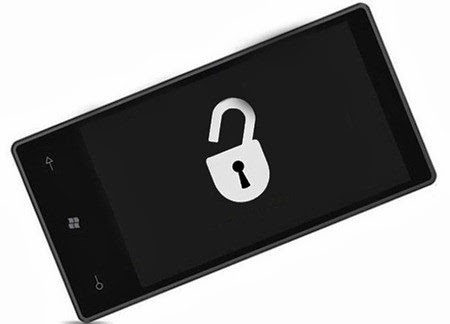 There are very limited model of Windows Phone which can be fully unlocked / jailbreaked. The steps will remain same for other Rev versions, but the custom rom which we will be flashing will be different for different Rev versions. Now for us to completely unlock the windows phone we will require to flash a custom rom. That custom rom should be of same OS version as that on Phone. Now since Samsung Focus which we have is having OS version : 7.10.7004.10, and we have a custom rom with OS version 7.10.8107.79. So first of all we have to manually update the OS from 7004 to 8107. When you plug in your phone with USB, Zune will automatically detect and ask you to update the OS version to Newer Version Available. Note :- Do not use Zune to automatically update the OS, as Microsoft has fixed flashing custom rom in the newer updates of Windows Phone. So first of all we have to update the OS version to the version of Custom ROM we have. Refer the below link to how to backup you current OS incase of any issues or failure during the manul update to get back to original state and also get the download links of Respective version of OS updates. So first we will update form 7004 to 7403, which is the immediate update after 7004. Also make sure you update all the languages which your phone has, other wise there are chances of your phone may get bricked. Step 4: Connect your Device via USB cable and make sure that Zune identifies your device. Once your device is Identified, exit Zune. Your device will reboot and start in download-mode. You'll see progress on the screen of your desktop, but it may take more than 10 minutes before your WP7 device is starting to show a progress-bar, even for small updates. That's normal, because the device is scanning for installed packages and performing merges. Now the OS is updated to 8103 for which we have a custom ROM. To flash Custom ROM in phone, first of all we have to have Custom Bootloader installed on Phone. 1. Make sure all driver are installed. Just to check if all the drivers are installed, start the phone in download mode by pressing “Volume Down + Camera+ Power ON” while the phone is switched off. 2. Then right click on My computer , go to Properties and then click on Device Manager. In device Manager check if your phone is identified or not. If it is identified you will find the name of you device, as in my case it is Samsung Focus. 3. If not, then search for respective drivers from phones website or from the Driver CD which came with the device and install it. Once you are sure that the drivers are install then proceed with installing the custom boot loader MAGLDR. 4. Just double click on DFT_MLI_SAM1.exe file which you have downloaded and click on next and then follow the instructions. The phone will reboot automatically. It may take some more time than normal to boot. So stay patient. 5. You won’t find any change in the Phone or any of its application once the phone reboots, because only custom bootloader has been installed. 6. Now since custom Bootloaded has been flashed we can now easily flash Customs Roms. Downlaod any Custom Rom which is unlocked / jailbreaked. Make sure the ROM which you download is compatible for you Phone Model and OS version. 8. Extract the Zip file in a folder, The extracted folder contains Custom ROM and DWPI (DFT Windows Phone Installer) which is an EXE file. 9. Now double click on DWPI and after few Initial Steps, You will be instructed to restarted the Phone in Debug / Download Mode by pressing “Volume down + Camera + Power On”. 10. Once the phone is in Debug Mode, DWPI automatically detects and starts flashing the custom ROM. You have to be sure that the custom ROM and the DWPI exe file are in same parent folder. 11. DWPI will show progress bar and once it has completely dumped the custom ROM, the phone will reboot. 12. Now once again the Phone will bootup automatically in Debug mode only and progress of installing the ROM will appear on Phone Screen. 13. Once that is Complete, the Phone will reboot again. Now this time when phone boots up it will take long time (exceptionally long time ) to boot up. 14. If even after 15-20 min, your devices doesn’t boot up, don’t panic we need to reset the storage. Some devices doesn’t boot up after flashing custom rom with old storage available. 15. So now to clear storage, When phone is switched off, press “Volume UP + Camera + Power On”. Please make note that this time its Volume UP key. 16. Using Windows Key Select Clear storage Option. Within few minutes phone will boot up with custom ROM. 17. If you see Tiles Screen, cheerup you have successfully jailbreaked windows Phone! !